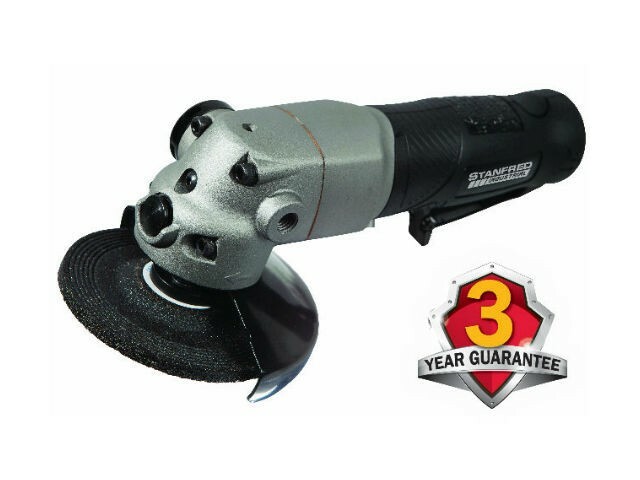 With nearly twice the power of most other air angle grinders in the market, this grinder is a monster. Rubber grip ensures comfort while the variable trigger provides precise control over the speed. Comes with a auxiliary handle that can be switched from left to right hand and also has a directional exhaust.